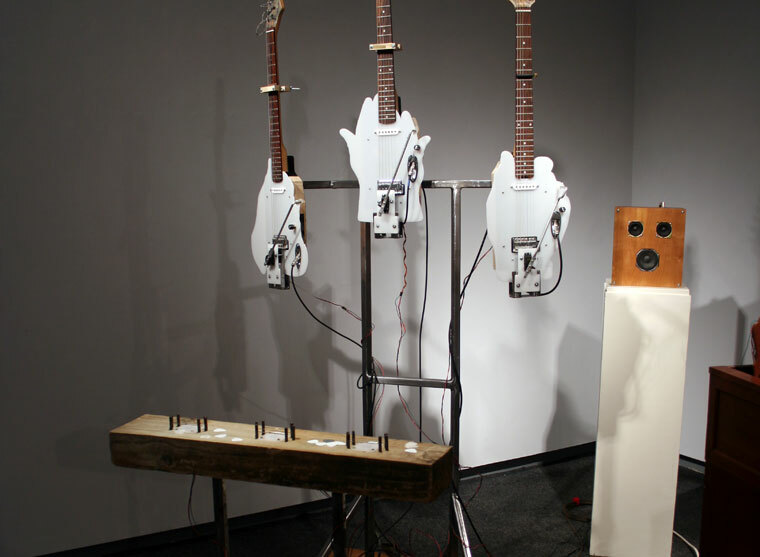 Three guitars are arranged on an steel structure, and the site of interaction is positioned in front (old block of wood) where the viewer is encouraged to grab a pick and strum across the mounted string. As the motion of the pick crosses the strings, the corresponding guitar is strummed by a motor and mechanical arm. Each guitar was tuned to a different chord: Ebm7 - C#maj7 - Bbmin7 respectively. A full sized piano was disassembled and re-concieved as an eighteen note electronic synthesizer tuned to the key of C# Major. 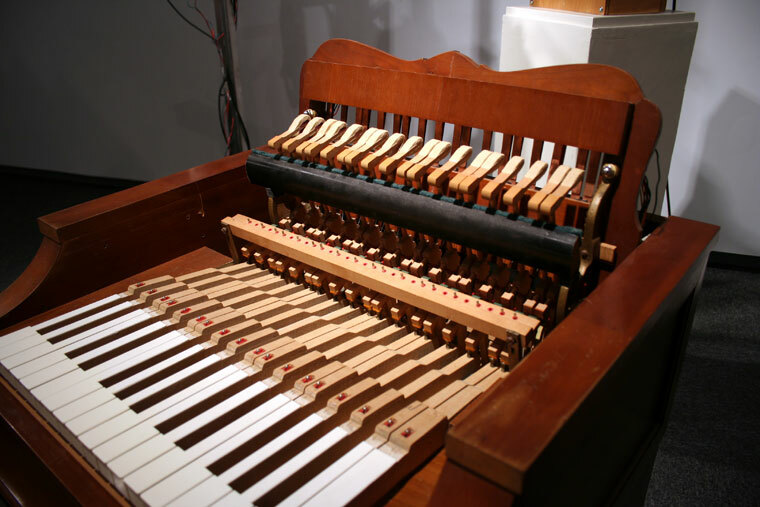 Viewers were encouraged to play this monophonic synthesizer along with the suite of kinetic guitars nearby. This installation encouraged temporary and harmonious interplay among viewers. Installed in the Museum of Fine Arts at Florida State University, April 2012.